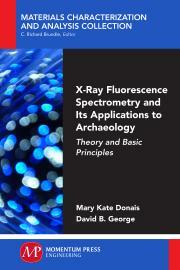 This book serves as a practical guide for the application of XRF spectrometry to the study and understanding of archaeology. Early chapters serve as both an introduction to XRF theory and instrumentation as well as an introduction to field applications and practical aspects of archaeology and conservation. These early chapter thus provide those new to XRF and/or new to field archaeology a solid foundation on which to base further study. Based on recent trends within field archaeology, information specific to portable instrumentation also is included in early chapters in addition to a later separate chapter devoted to data collection in the field including both museum settings and archaeological sites. The chapter devoted to data discusses qualitative and quantitative approaches, applications of various statistical methods to XRF data, and then relate these data types and statistical methods back to the types of archaeological questions that are possible to answer through XRF analysis. With statistics playing an ever increasing role in data evaluation, new and experienced users of XRF spectrometry with find the statistics overview particularly helpful in expanding how data can be interpreted and presented. The book concludes with individual chapters devoted to specific archaeological sample types including pigments, obsidian, ceramics, glass, construction materials, and metallurgical materials. Each of these material-specific chapters concludes with a section relating that material type back to the archaeology itself. Numerous examples, figures, and spectra will be provided within these chapters. Mary Kate Donais earned her BS (Bucknell University) and PhD (University of Massachusetts, Amherst) in chemistry. Following positions in government and industry, she joined the faculty at Saint Anselm College where she is currently a professor in the chemistry department. Dr Donais’ research focus is on applications of atomic spectroscopy and portable instrumentation, especially in the field of archaeology. She is actively involved with the Society for Applied Spectroscopy (SAS) and FACSS, and is a member of the Society for Archaeological Sciences. David B. George earned his BA in art history and archaeology (University of Missouri-Columbia) and his PhD in classical studies (The Ohio State University). He is currently a professor and chair of classics at Saint Anselm College. Dr George teaches courses in classical languages as well as classical archaeology. He has done archaeological work in Greece and Italy and currently directs excavations in and around Orvieto, Italy. Dr George has published widely on topics from Greek tragedy to Latin Epic as well as aspects of Greek and Roman archaeology.